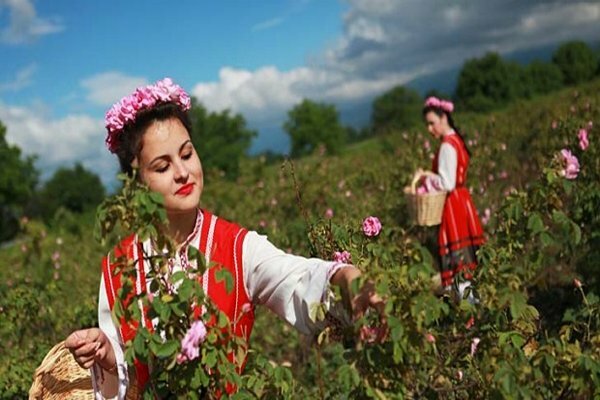 One of the most remarkable events in Bulgaria, dedicated to beauty and flowers, to spring and the fragrance of the priceless Kazanlak rose. In June 2018.
and the fragrance of the priceless Kazanlak rose. The Rose Festival was celebrated for the first time in 1903 and since then it has traditionally been held during the first weekend of June. Three main events are worth a visit – an early morning harvesting ritual in the rose fields, the electing of Queen Rose and the parade along the streets of the town. Arrival in Sofia. Transfer and overnight. Sofia is a city with a 7000-year history, which makes it a unique phenomenon in Europe, and places it among the settlements dating back to most distant antiquity. It has the hectic atmosphere of a big capital city and a compact centre where all main sites can be visited on foot. Morning walking city tour which includes: Alexander Nevski Memorial Cathedral, St Sofia Church, Parliament square, the monument of King Liberator, Russian church, National Theatre, The Ethnographic Museum, The National art Gallery outside, Archaeological Museum outside, the Presidency, St. George`s Rotunda, St. Nedelya square. Departure for the Rose Valley. Bulgaria is popular worldwide as the land of roses. The fragrant flower has been cultivated for over 300 years. 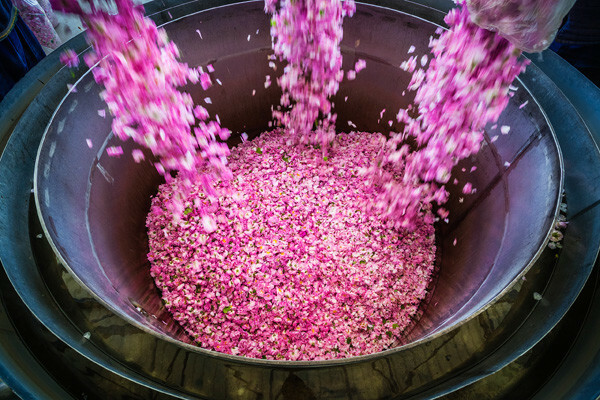 Oil-yielding rose grows in just a few places in the world and this ranks Bulgaria among the top 3 producers of rose-oil in not only quantity, but quality as well. The rose damascene was brought to Bulgaria during the Ottoman period from Persia. Due to climatic and soil conditions in the country, the Bulgarian rose oil quality surpasses that of other producing areas. The authentic cultivation method was preserved unchanged for over three centuries. Kazanlak is not only known for exporting rose-oil but is also a valley of ancient burial mounds and tombs dated to the 5th – 4th century BC, demonstrating the flourishing of the Thracian Odrysian State. The program continues with visit of the ancient Thracian tomb, one of the 9 cultural, historic and natural sites in Bulgaria included in the UNESCO list of monuments of global importance. 17:00h. Check in hotel in the region of Kazanlak. 18:00h. Bulgarian folklore dances course – a professional teacher is showing to the tourists how to dance under Bulgarian rhythm. The best receive diplomas. 08:15h - Early departure by bus to the rose fields situated near Kazanlak city. Each tourist receives a basket to participate in the rose picking and collect the petals. The ritual is accompanied by folk songs. Following the rose picking the tourists will visit the factory for producing a rose oil. The tourists will see a demonstration of the process will taste ethereal essences, tasting "banitza"-a salty pastry, liqueurs and jams of roses. Breakfast. Free time for souvenir shopping and walk around the town. 12:00h Carnival procession on the main street of Kazanlak. 13:00h Lunch BBQ - with folklore program and gifts for every tourist. Departure for Plovdiv. Tour of the Old Town of Plovdiv. The city lies on seven hills which are noticeable from quite a distance. The hills, as well as the old town of Plovdiv bring specific colour and atmosphere to the town and shape up its unique view and nature. A contemporary of Troy and having survived Mycenae, Plovdiv is a city upon layers of cities and an epoch upon layers of epochs. Plovdiv is all in one: a Thracian and classical Greek polis, the pride of Philip of Macedonia, the capital of Thrace under the Roman Empire, a centre of Byzantinism, a stronghold of the Bulgarians, a dream of the crusaders - a magnificent, wealth and most important city. The most interesting landmark is The Old Town of Plovdiv Architecture Reserve which covers the Three-hill area. It is the original location of the town and almost all of the most interesting history-related sights are within it: cult, residential and public housings, archaeological monuments and museums, narrow cobble-paved streets. 1/ Breakfast and early departure transfer for Sofia airport. 2/ Departure for the Rila Monastery - the most famous and fascinating monastery in Bulgaria,under the UNESCO protection. The entire complex is quite impressive for its size. The 4-floor residential part consists of no less than 300 monks’ cells, 4 chapels, an abbot’s room, a kitchen, a library and guestrooms for donors. The kitchen is particularly interesting for its really huge cooking vessels. The exterior of the monastery is no less intriguing for its high and severe stone walls (reaching 4 floors and even more at some places) cut through by small windows – reminding of a military fort rather than a monastery. Once in the complex, it is worth visiting the monastery’s museum, which hosts a unique work of art, namely The Raphael’s Cross. The cross is made of a whole piece of wood (81cm x 43cm) and is named after its creator. The tour continues to Sofia. Arrival, check in the hotel and overnight. On the next morning - breakfast and departure transfer to the airport. EXTENSIONS TO THE PROGRAM CAN BE ADDED UPON REQUEST INCLUDING MORE BULGARIAN CITIES AND LANDMARKS.